Ms. Sussman was born and raised in Jacksonville, Florida. She received undergraduate degrees in Psychology and Sociology from the University of Georgia in 2002 and a Masters Degree in Counseling Psychology from the University of North Florida in 2004. Ms. Sussman then received her Juris Doctorate with honors in 2007 from Florida Coastal School of Law. She graduated with a Family Law Certificate. While at Florida Coastal she was an active member of the Mock Trial team, competing in multiple national competitions. She was also a staff editor for the Florida Coastal Law Review and served as a teaching and research assistant for multiple professors. She also worked as a law clerk for a family law firm in Jacksonville. Ms. Sussman has been a member of the Florida Bar since 2007. 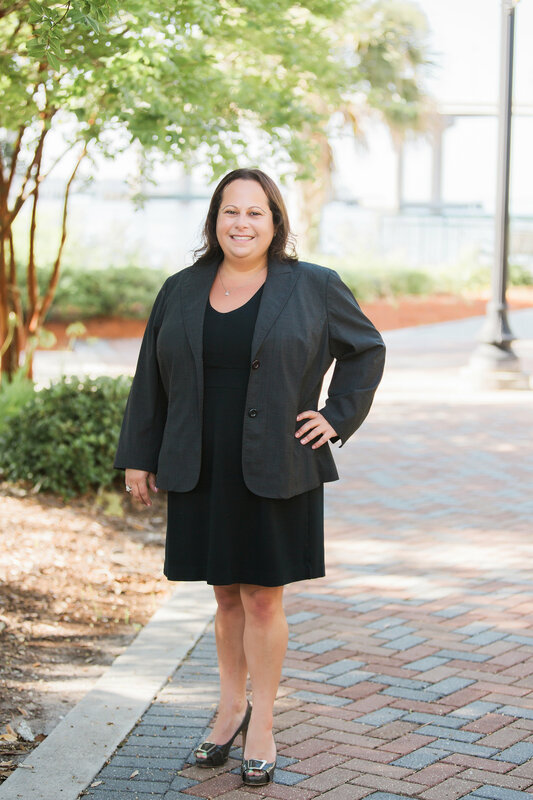 She began her career with a family law firm in Naples, Florida and returned to Jacksonville to work with the firm in 2010. She became a shareholder in 2014. She is a member of the Family Law Section of the Florida Bar, the Jacksonville Bar Association, and the Young Lawyers Sections of both the Florida Bar and the Jacksonville Bar Association. She currently serves on the executive committee of the Florida Family Law Inn of Court. Ms. Sussman authored two articles for the Florida Bar Journal, “Appellate Court Trends in Permanent Alimony for “Gray Area” Divorces: 1997 – 2007” in April 2008 and “Appellate Court Trends in Rehabilitative Alimony: 10 Years Later” in October 2008. She has also prepared presentations on various family law matters for the Collier County Bar Association and the Florida Family Law Inn of Court. She was named a rising star by Florida Super Lawyers in 2010. Ms. Sussman handles all levels of family cases involving everything from child custody and timesharing to complex financial matters. When necessary, she works closely with other professionals, such as accountants, financial advisors, appraisers, business valuators, psychologists and other medical professionals, to ensure that all issues are comprehensively addressed. While she seeks to resolve all of her cases through mediation, she is also experienced in bringing cases to trial. Ms. Sussman also prepares prenuptial agreements, postnuptial agreements, and handles appeals of family law matters.